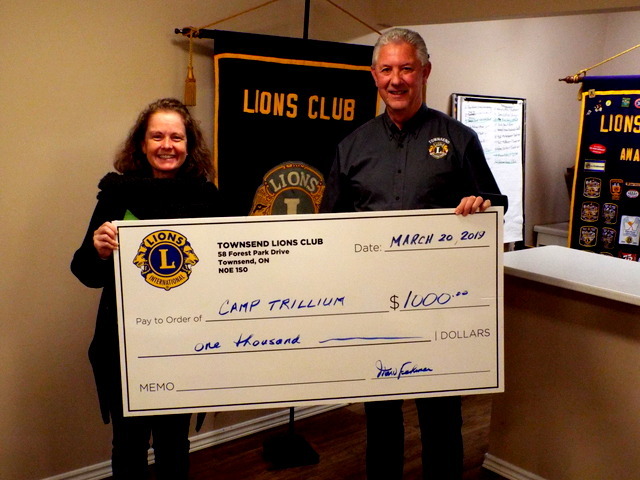 Lion President Marv presenting a cheque of $1.000.00 to Marcie of Camp Trillium. Over the years, the Townsend Lions have taken on many projects. Below is a list of our more recent projects and donations to various orginizations. Food Drive for Jarvis Caring Cupboard.... Estimated 1,000 Lbs. of Food Collected plus $650. Christmas Tree Sales All trees sold. Easter Egg Hunt was a super day thanks to all that made it possible. We had about 165-170 kids plus parents. all positive remarks.